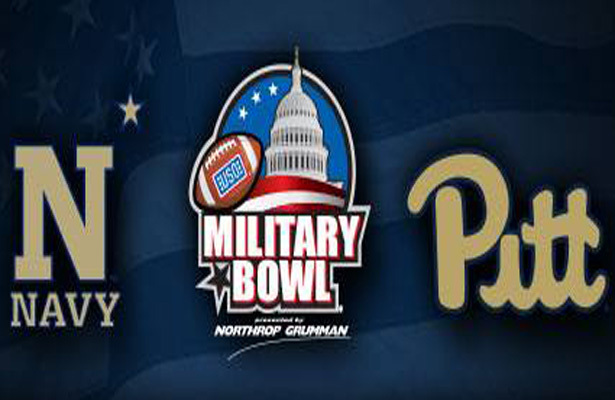 This year’s Military Bowl should be a close one by two quality teams. Pitt hasn’t won nine games in a season since 2009. Navy hasn’t won 11 in a season since … ever. There are stakes, but perhaps the biggest battles have already been won: neither Pitt nor Navy appears to be losing its head coach this season! The last two performances of the year — a three-touchdown road loss to Houston (which cost Navy the AAC West title) and the usual slog past Army — may have been two of their worst of the year, but Ken Niumatalolo’s eighth season as Navy’s head coach was easily his best. Per the Simple Ratings System, the Midshipmen fielded their best team since 1963; that makes sense since quarterback Keenan Reynolds might be Navy’s best since Roger Staubach was a senior 52 years ago. With Reynolds running the option and a top 40 defense executing Niumatalolo’s bend-don’t-break to perfection, Navy scored 44 points or more five times and held opponents to 21 or fewer points 10 times. Their only losses were to Notre Dame and Houston, they took down both service-academy rivals, and they went 7-1 in conference play in their first-ever year in a conference. Pitt beat Georgia Tech, the team coached by Niumatalolo’s mentor Paul Johnson, this season. But a) the Panthers allowed 376 rushing yards in the process, and b) Navy’s offense graded out better than Tech’s. The to-do list for any major program is 1) win games, and 2) if you’ve won games, keep your coach. Pitt has done a decent amount of the former — this is a program that is bowling for the eighth consecutive season and the 13th in the last 16 years — but the latter has been difficult. Since dismissing Dave Wannstedt following a then-disappointing 8-5 in 2010 (one they didn’t match until this season), Pitt hired Mike Haywood (and fired him days later due to a domestic assault allegation), Todd Graham (and lost him to Arizona State after one year), Paul Chryst (and lost him to alma mater Wisconsin after three years), and now former Michigan State defensive coordinator Pat Narduzzi. This game will not have many possessions. Navy averages only 10.5 possessions per game (fewest in FBS), and Pitt averages only 11.8 (eighth-fewest). Niumatalolo perfectly applies underdog principles at Navy, and Narduzzi’s a member of the Dantonio school of thought, which tends to be that an offense’s first goal is to not screw over the defense.